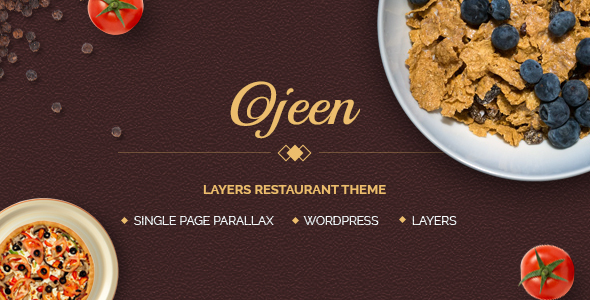 Ojeen is an easy to customize restaurant theme built with Layers WP. It uses easy to customize widgets to build pages. It is very simple and doesn’t require any professional assistance to create a beautiful website for your restaurant. It has all the features required for a restaurant website including Open table reservations, restaurant timings, food menu etc. Layers page templates are created for each page you see in our demo so creating a website with our theme is really simple.